There are some classic flavours that never go out of fashion. It’s no wonder, then, that our customers keep coming back for more of our Route 66 Spearmint CBD e-liquid. 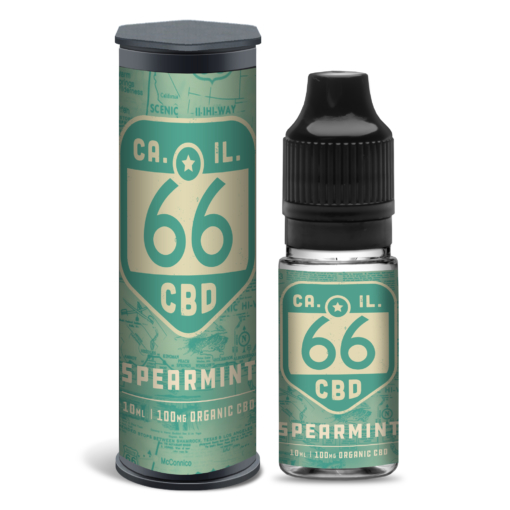 A wonderful palate cleaner, this Spearmint CBD oil is guaranteed to freshen your mouth thanks to its smooth finish – but without the sharp taste sensation that many normally associate with peppermint. Our Spearmint CBD e-juice is specially mixed using a 40/60 ratio of VG/PG bases to ensure a smooth throat-hit, as well as visible, rewarding clouds on the exhale. With 100ml of organic CBD in every 10mg bottle, this CBD oil is compatible with all vaping devices, and can easily be diluted to guarantee an experience with a little less kick. Enjoying vaping our smooth minty Route 66 Spearmint CBD Oil but looking for something a little sharper? If so, then give our Route 66 Menthol CBD e-liquid a try. 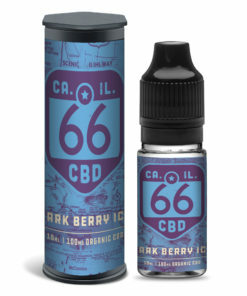 All of our CBD products are made in our ISO clean rooms in the UK, guaranteeing high quality products. We are proud to be certified with the FDA and comply all relevant laws. All rigorous tests and guidelines necessary for the sale of CBD products are strictly followed. The secure, encrypted payment gateway provided ensures discretion. Our fast, efficient customer service is well known – and we respond quickly to all enquiries. Pretty good spearmint taste and only waited 2 days for delivery so was pretty happy with everything.